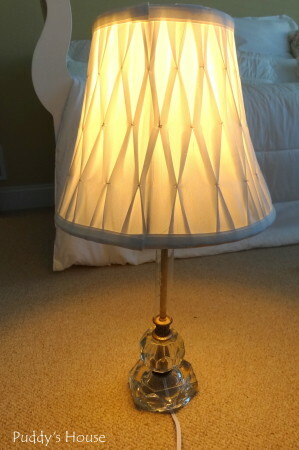 Last weekend, I was out thrift shopping with my friends and found a set of two pretty lamps. They were only $12 each, but the cord on the one was very old. You can see it was all cracked. The other cord wasn’t as bad, but still was risky. 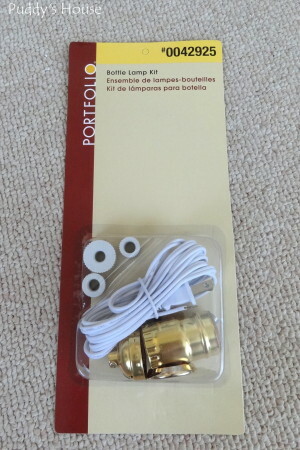 I decided for the price to take a chance on buying the lamps and trying my hand at rewiring them. I went to Lowe’s that day and bought a kit. There were several options, but for only $10.24 this included everything I could possibly need. And, to buy the wire and the top portion separately it cost more. So, I went with the economical option even though I might have leftover pieces. I bought 2 kits, so that I would know both lamps would be safe to use. I started by taking the old wiring out of the lamps. This was very quick and easy, as shown in the pictures and steps listed below. 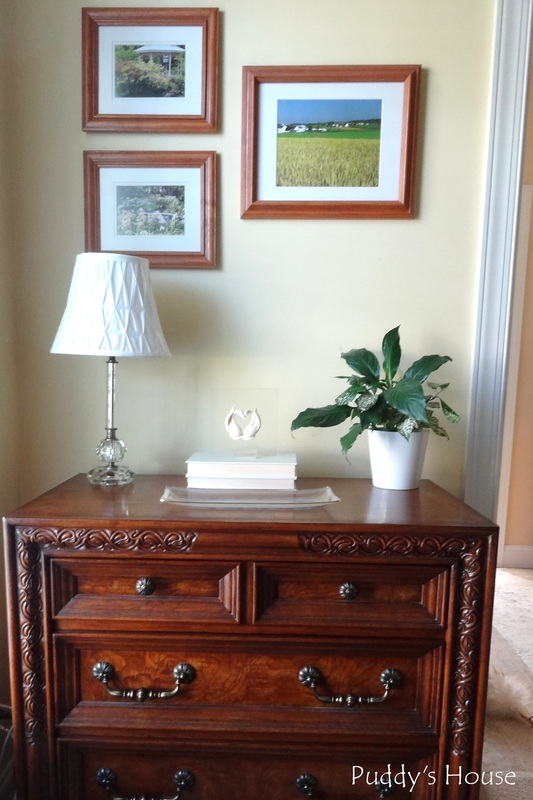 Step 2 – Lift the next piece and remove the first screw. 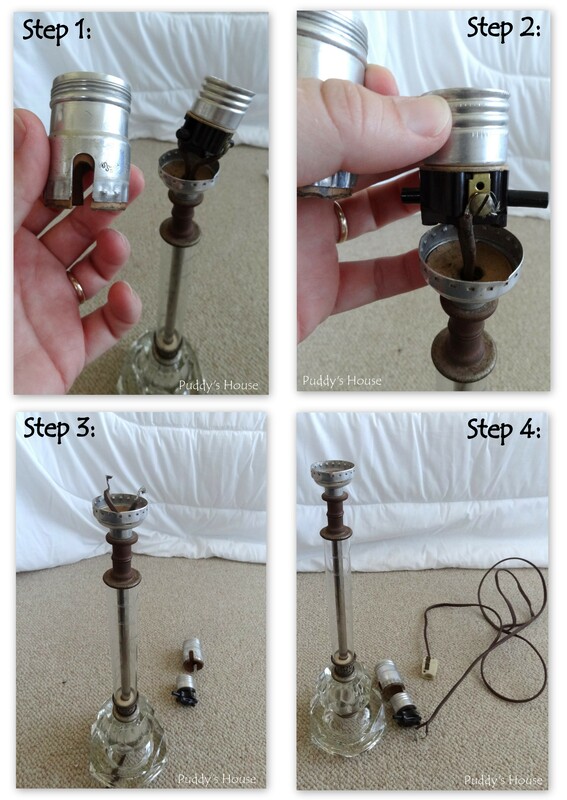 I followed the same 4 steps in reverse to rewire the lamp. Step 2 – Wrap neutral wire (the one with ribbing in my kit) clockwise around silver screw. I did use my wire cutters to strip a bit more of the cord to expose the wire more. Tighten the screw. Step 3 – Wrap other wire clockwise around gold screw, and tighten the screw. 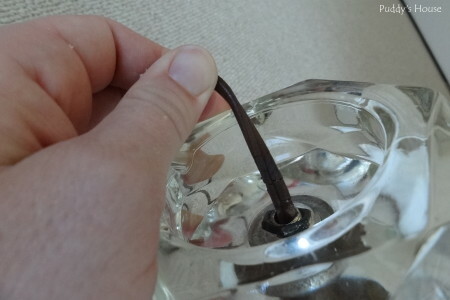 Step 4 – Place cap over the piece containing the wires and screws and pull your cord from the bottom of the lamp to remove any extra cord length. 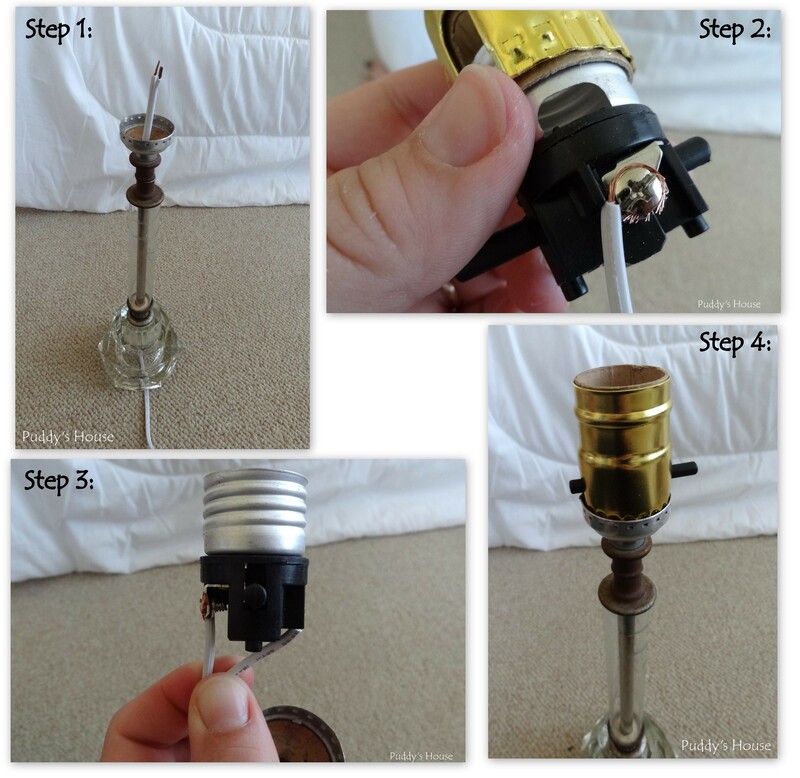 In 4 easy steps, I had successfully rewired my lamp. I was very excited that it lit!! 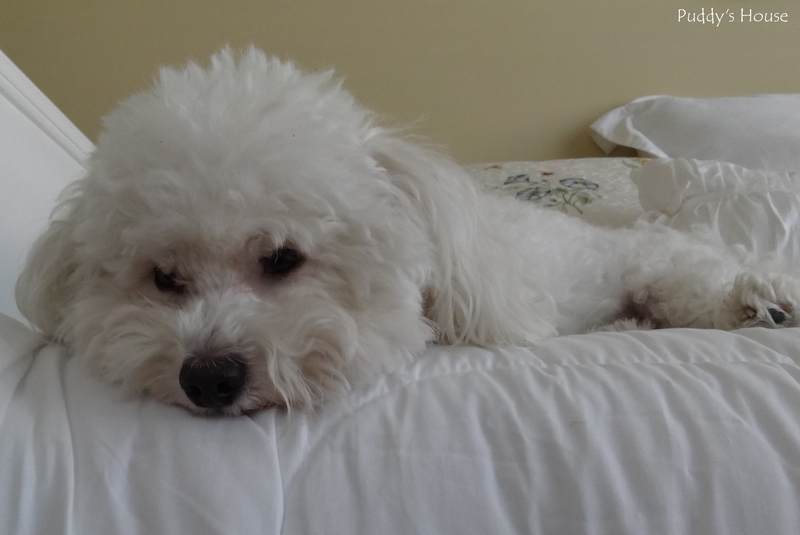 It was a quick process, and Puddy laid on the bed and watched me as I worked. For some reason, I prefer to work and craft on the floor instead of using my desk. So, the bed gives Puddy a good view. Then, came the fun part. I bought the lamps to replace the 2 mismatched lamps that we have in our master bedroom. The new lamps look pretty on Bob’s nightstand and on mine. 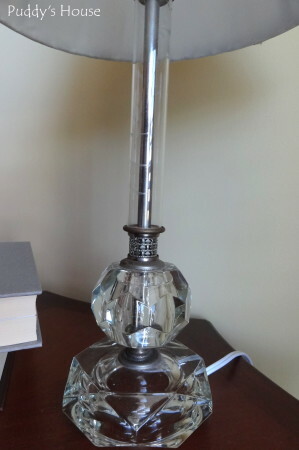 The shades are what got my attention at first, but I really love the detail on the base of the lamp. Now, I know not to be afraid to buy thrift shop lamps since they can be rewired in just a few easy steps. Have you ever bought a thrift shop lamp? Have your rewired a lamp? They look very nice in your room. 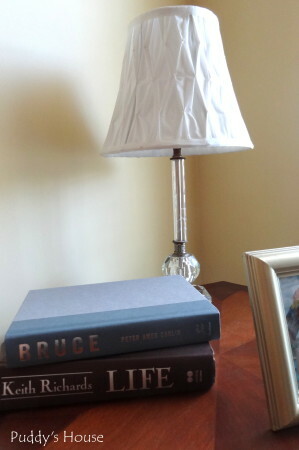 I had some adventures in rewiring last year when I converted some shades into hanging lamps. Basically, it was the same process, with an added switch for the on/off. I’m lucky enough to have the big box stores AND my awesome local hardware store and all the help they offer! Thanks Darla! I really thought it would be a more complicated process. It’s good to know it doesn’t change too much based on what you are rewiring. I am making the rounds on the SoMe 2 hop. I followed you on Pinterest and Instagram! Thanks for stopping by and following along Betty!